Valerie Lipman is a Postdoc Intern at the Social Care Workforce Research Unit in the Policy Institute at King’s College London. The Social Care Workforce Research Unit is part of the Policy Institute @ King’s, which is furthering the cause of evidence-informed policy and practice. Valerie Lipman, a social gerontologist and a postdoc Intern at the Unit, reports on an event which examined the questions that arise where academia, funders, policy-makers, and practitioners meet. I went to a great panel discussion last week: ‘The impact of impact: who are we researching for?’. The event, the last of the year organised by KISS-DTC* was moderated by BBC journalist Mark Easton. Lots of talking about the history of research, its purpose, why do we do it, what’s meant to happen to it when done, and who cares? And that for me is the critical question. Who cares, or rather who do I want to care about the research I’ve done? Why would you bother doing social science research unless you wanted something to be different as a result? This view has been the order of the day for some time now, and the proof is in how money is made available for research, and the ability of those carrying out the research to disseminate and inform others. From their different perspectives three panellists presented the case about why impact matters. In the academic corner we had Dame Janet Finch, chair of the social sciences panel for the REF, arguing a strong moral case that researchers have a responsibility to make their research available and that the ‘impact’ element of the REF is here to stay. Aileen Murphie, Director, DCLG & Local Government VFM, promoted the need for evidence-based policy, though as members of the audience argued this can result in favouring government priorities occluding an openness to new ideas. And representing a position between the academic and government worlds was Anthony Tomei, former Director of the Nuffield Foundation: the voice of independence, risk taker in what research to support and an advocate of the importance of quality research that can effect change. The time when research was allowed to be an expression of freedom and a search for the new—an opportunity to delve into the unknown and emerge with the prize that would change the thinking and actions of others to make a better world—seems to have passed. On the other hand I’ve worked with people in university research departments who’ve never thought about what the purpose of their research was. It was the job of others to interpret the findings and take it further. Obviously, you shouldn’t know the answers to the questions before you start the research or skew your questions to meet what you want it to show—’policy-based evidence’ as someone at the meeting described it. But there must be a way of deciding at the start that you’ll want the results of the research to matter, so how about building in processes at the outset that stimulate debate as you go along … following a ‘pathway to impact’, as Janet Finch said, not merely waiting till the obligatory conference and a couple of academic papers at the end? 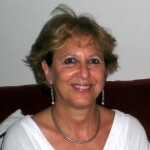 Valerie Lipman was recently awarded a PhD by the Centre for Ageing at the University of Southampton. She is a postdoc Intern at the Social Care Workforce Research Unit, developing material from her doctorate for publication here at King’s.